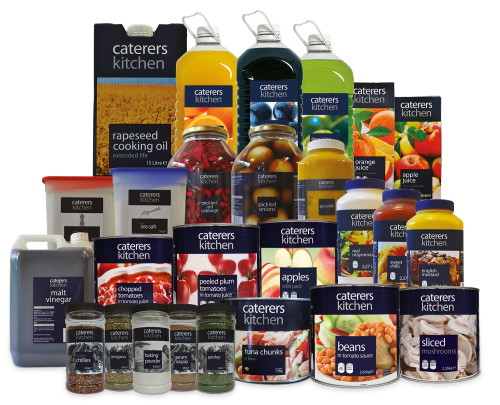 Available exclusively through our wholesale members’ depots, our own brand ranges have everything you need for a retail or foodservice business. Designed specifically for retail and foodservice, our own brands play an essential role in our business, providing a high-quality, affordable alternative to the leading brands, as well as driving customer loyalty between our members and their customers. Targeting retailers looking for a strong own brand with shelf presence, the Lifestyle range is 90% pricemarked, delivering excellent value for customers and profitable margins for retailers. The range includes canned vegetables, meat, fish, beans and pasta, condiments and oils, biscuits, hot drinks and breads. 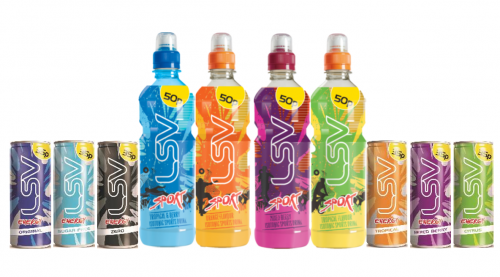 Attention grabbing for both its strong branding and great value pricemarks, our popular energy drink line is one of our bestselling ranges, offering retailers fantastic POR across the full range of sports and energy drinks. Available in 250ml cans, 380ml, 500ml and 1 litre bottles. Flavours include Original Energy, Sugar-Free, Isotonic Orange, Isotonic Mixed Berry, Isotonic Tropical, Isotonic Berry, Glucose Cherry, Glucose Orange and Glucose Tropical and Coconut. 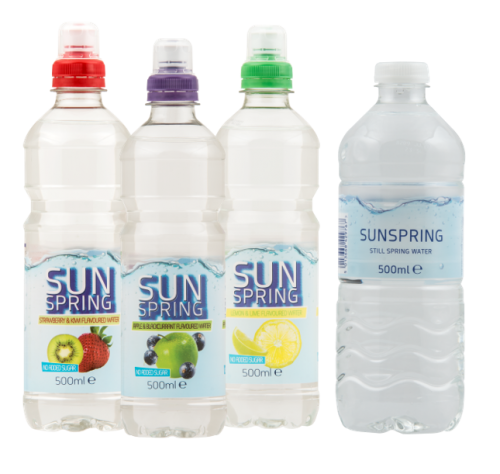 Our bottled water range has gone from strength to strength offering a great price point for consumers looking for an alternative to soft and fizzy drinks. Available in 500ml bottles in a variety of flavours including Lemon and Lime, Strawberry and Kiwi, and Apple and Blackcurrant. 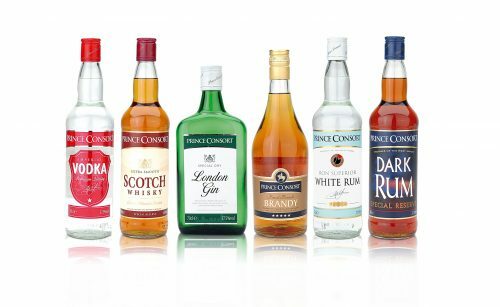 This popular bestselling spirits range includes vodka, gin, whisky, brandy and rum, all offering brand quality at low prices. Available in 1 litre, 70cl, 35cl, 20cl and 5cl bottles. 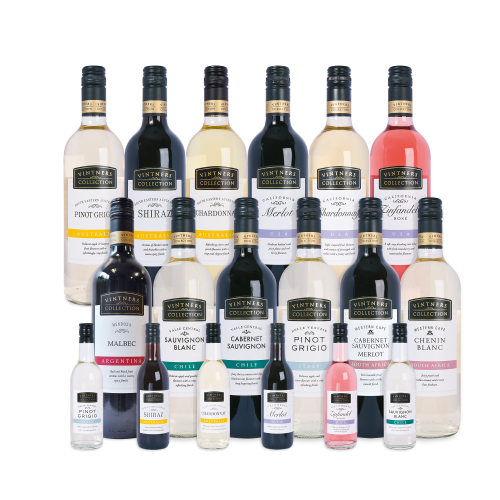 Our award-winning wine collection includes all the proven customer favourites such as sauvignon blanc, merlot, shiraz and malbec, all at highly competitive price points. This collection also includes our multi-award-winning sparkling wine, Santa Loretta Prosecco. Available in 75cl and 18.5cl bottles. Offering genuine kitchen essentials, this foodservice own brand range has been created by chefs for chefs and provides exceptional value while matching brand quality. 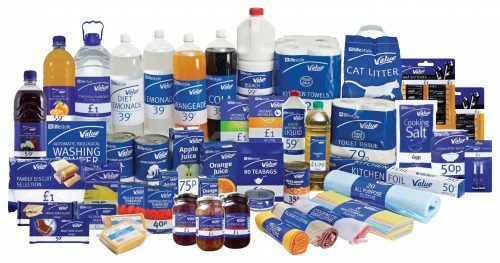 It’s continually evolving to reflect customer demand and the latest industry trends to deliver all your kitchen essentials from bouillon to baked beans, binbags to bleach. Our own-brand tobacco range is exclusive to the independent channel, providing a value alternative to the leading tobacco brands. Available in packs of 20, king size and superkings.